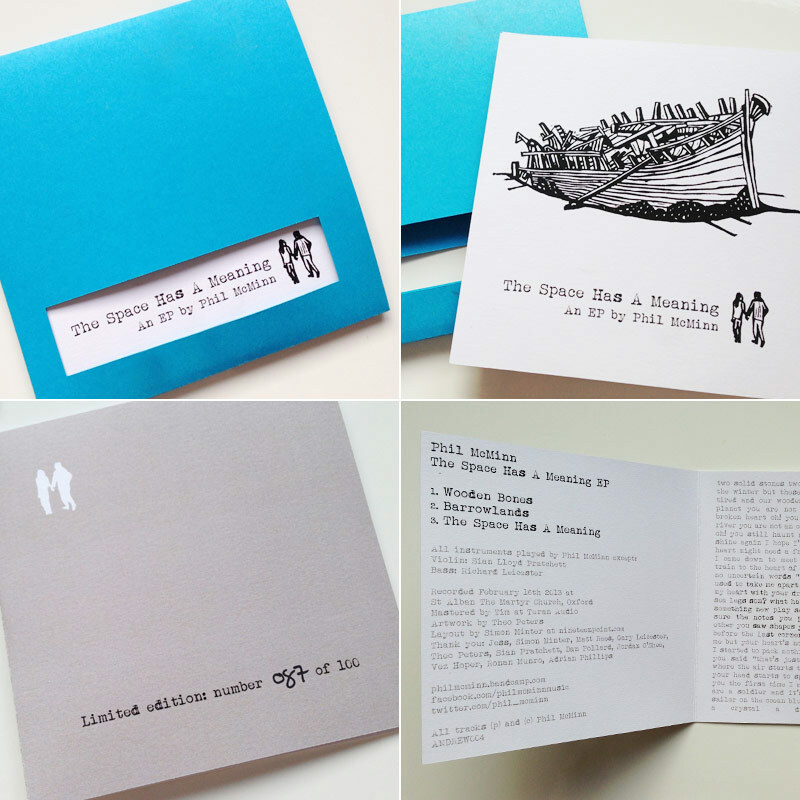 The Space Has A Meaning is the latest EP from Oxford-based singer-songwriter Phil McMinn, released in December 2013. I designed the packaging for the CD, which features an illustration by Theo Peters. A printed gatefold card sleeve surrounds the CD and is housed within a die-cut outer sleeve. There are a number of colour variants for the outer sleeve, to accompany different editions of the EP which include free gifts and inserts, with one edition sealed into a hand-stitched hessian bag. Listen to the EP and buy copies of the CD here.